Do you feel tired during the day, but find it hard to fall asleep or stay asleep at night? Have you lost all of your motivation and desire to do the things you used to call fun? Do you simply feel exhausted, like you can't replenish or recover? You might be suffering from adrenal fatigue, which often accompanies autoimmune disease. Today, I'm joined by Christopher Kelly, co-owner of the functional medicine practice, Nourish Balance Thrive. He has recovered from adrenal fatigue himself and helped hundreds of others do the same. If the photo below gets you curious, he's also a proud father and professional mountain biker. 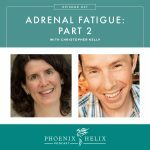 In 2016, Chris Kelly returned to the podcast with a new perspective on adrenal fatigue, and a new test that he believes is more accurate. 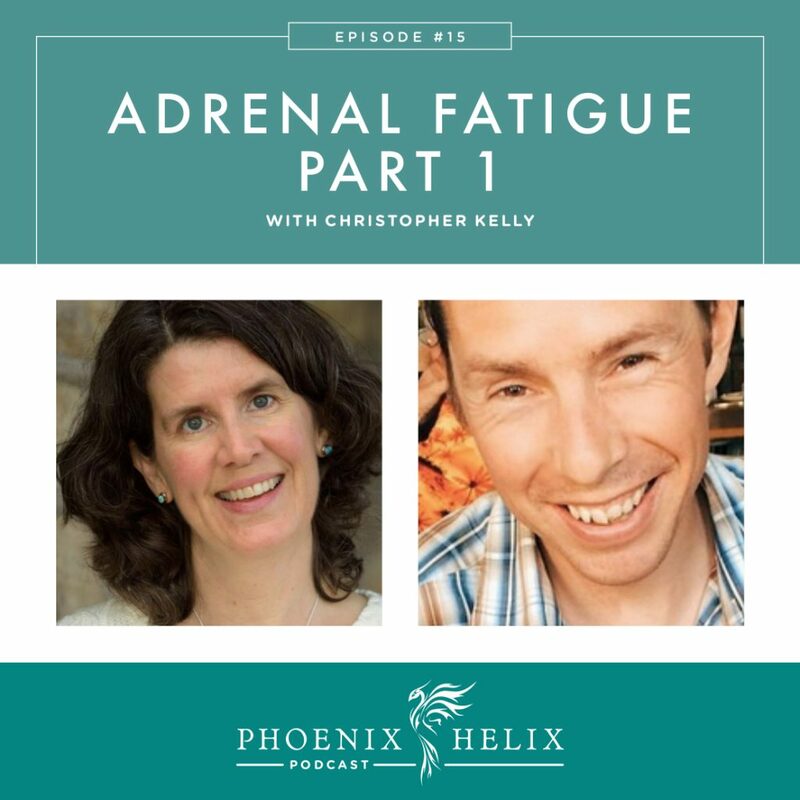 Check out Episode 47 for Adrenal Fatigue: Part 2. Co-owner of functional medicine practice: Nourish Balance Thrive. He's recovered from adrenal fatigue himself and has helped hundreds of others do the same. Mainstream medicine doesn't take it seriously. There are various theories on what causes adrenal fatigue symptoms. Christopher believes it's not actually a problem with the adrenal glands themselves. Rather, inflammation in the gut affects the part of the brain that asks the adrenals to release cortisol, and can throw the system out of balance. The diagnostic test is a saliva test, which measures cortisol, DHEA and other hormones throughout the day. In healthy people, cortisol is highest in the morning and lowest at night. In people with adrenal fatigue, it's either the opposite of that, or erratic throughout the day. DHEA is often low in people with autoimmunity, and always low in people with adrenal fatigue. Fatigue all the time, but especially in the afternoon. Waking up in the middle of the night and having difficulty getting back to sleep. Total lack of motivation to do anything. Dizziness going from sitting to standing. 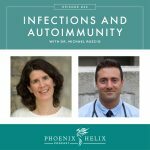 Foundation is the Paleo Autoimmune Protocol. Rest is essential. Address difficulty sleeping by balancing circadian rhythms. Take a hiatus from strenuous exercise. Gentle exercise is OK – walking is very beneficial. Supplements (only effective when diet and lifestyle are being addressed), and prescribed based on lab test results. Maria was a 49 year-old runner with intense fatigue, hair loss and digestive issues. Her saliva test showed very low cortisol, estrogen, progesterone, testosterone, melatonin and DHEA. This is typical for people adrenal fatigue. Her stool test showed a parasite infection, which they treated with herbal antibiotics. They coached her on diet and lifestyle changes as well. Results: infection cleared, her symptoms went away, hormones balanced, and she was able to enjoy running again. Chris has more case studies on his website. BioHealth's Adrenal Stress Profile Saliva Test. Update 2016: Chris now recommends the DUTCH test for adrenal function. BioHealth's GI Pathogen Screen Stool Test. Great Plains Urine Organic Acids Test. DHEA, Pregnenolone and Licorice Root drops, delivered sublingually (underneath the tongue). Very small doses have a potent effect. Christopher prescribes dosage based on saliva test results. Note: Licorice root is contraindicated for people with high blood pressure. Keep your blood sugar stable. You can buy a fingerstick test kit and measure your own. If you drop below 60, your body will release cortisol to raise the glucose, so you don't want to drop that low. Eat less carbs and more healthy saturated fats to maintain healthy levels. 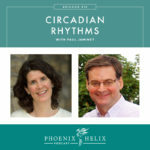 Change you habits to support healthy circadian rhythms. Supplements that can be helpful: 5-HTP, and B6 . He looks at urine organic acid tests results to see which people need. It's time for an “off season” to focus on healing. It's not forever, but it is necessary for now. If you've tried all the diet and lifestyle interventions and still can't do the exercise you love, it's time to do some lab tests to find potential underlying problems. Be sure and listen to Podcast Episode 47 for an Adrenal Fatigue Update. Christopher Kelly works with people worldwide via Skype. He also hosts two podcasts: Nourish Balance Thrive Paleo Baby. His website is Nourishbalancethrive.com.